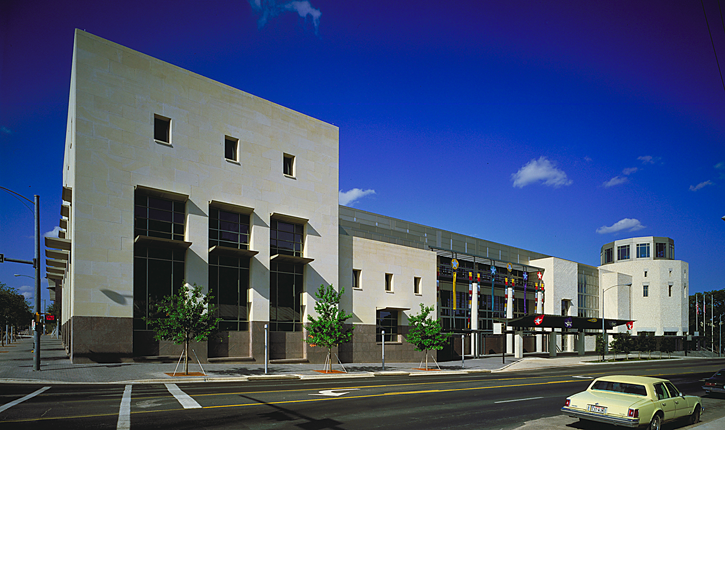 Donald Eyberg led the Ellerbe Becket team that was retained to provide architectural services from pre-design, through construction for this downtown convention center. Services also included site selection, urban planning, programming for phase one and two. The team also provided schematic design for phase two expansion. The Convention Center encloses 81,880 SM (881,400 SF). The five exhibit halls combined have 22,863 SM (246,097 SF ) of column-free space. There are 54 meeting rooms and two ballrooms, including one of the largest ballrooms in Texas with 4,020 SM (43,300 SF). The project remained open during construction of the phase two expansion.